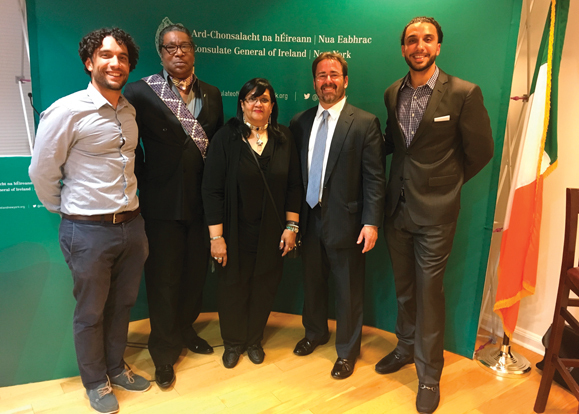 The Irish Consulate in New York City hosted a discussion of Irish-Native American relations in June. Titled, “Native Americans and the Irish: Historic and Continuing Connections,” it touched on interactions between the two groups over the past centuries that have been both friendly and confrontational. The conversation covered the Choctaw nation’s gift of $170 towards Irish famine relief in 1847, which took place just 13 years after the Choctaw’s own “Trail of Tears” forced resettlement, and the sad fact that many of the Irish who joined the Army after the Civil War were party to the effort to drive the Native Americans from their ancestral lands. The Choctaws and those of other Native Tribes have brutally treated by the white man in many parts of the New World, especially in what is now the United States. In spite of that however, todays Native people seldom seek the compensation they so richly deserve. This is true. Native tribes have been brutally abused and mistreated and I feel something should of been done about it. Irish people everywhere and their descendants owe a deep deby of gratitude to the Choctaw Tribe. I wanted to say this is a good article with some great information on native americans and the irish.